Product prices and availability are accurate as of 2019-04-10 18:27:04 EDT and are subject to change. Any price and availability information displayed on http://www.amazon.com/ at the time of purchase will apply to the purchase of this product. HERBS: Treat yourself to fresh herbs right from your garden! The difference when home grown is impressive! All are excellent for adding distinctive flavor to meat, and fish dishes, gravies, soups, salads and vegetables. They are fun to grow and make an attractive garden addition! 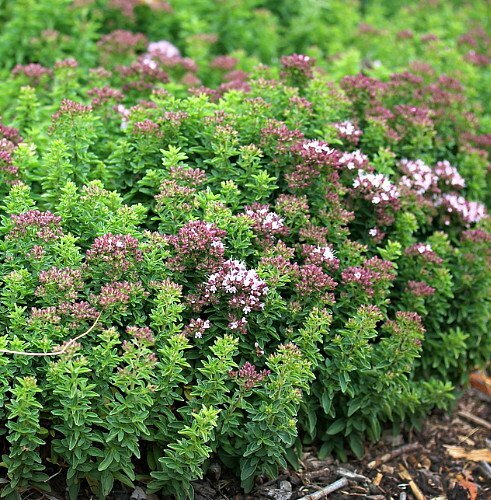 A scented culinary herb with a tight compact habit and fragrant leaves. Commonly used to flavor Greek, Italian and Mexican recipes such as pizza, pasta and soup. Dark green, attractive foliage with pink flowers in summer. 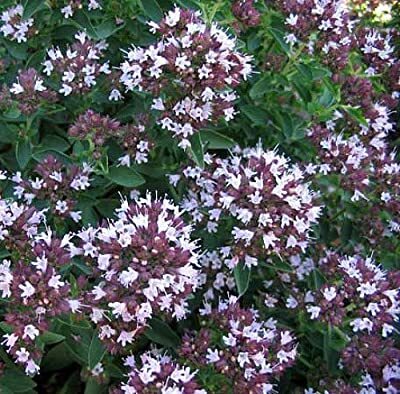 Origanum vulgare 'Compactum' Color of Bloom: Pink Hardy Zones 4-10, Mature Height: 6-12" Use in Mexican, Spanish, Greek and Italian dishes Immediate shipping in 3" pots. Dormant shipping in winter.